4 Blogging Goals For 2016! Did everyone have a lovely Christmas break? Hopefully we were all able to put work to one side and have some truly relaxing days off. Now that we are officially in 2016 (happy new year by the way!) we’ve been thinking about what we want to achieve over the next 12 months. I think most of you will agree that the idea of new year resolutions is fairly overrated and stressful. In my opinion this is because we either set the bar too high e.g ‘become a marathon runner even though I haven’t walked, let alone run for four years’ or we’re far too vague; for example ‘make more money’. So in the lingering Christmas spirit of taking things easy and focusing on the little things, here are four simple blogging goals for 2016. Whether you’ve just started a blog or you’ve been writing for a few years, choosing one or two goals can really boost your blog as well as your business. Let’s go! This is an oldie but goldie and something that even long-time bloggers struggle with. I think the main thing to remember is that high-quality content is king but consistency is queen. Try to carve out blogging time in your schedule, just like you would for a photo shoot or editing. You don’t have to blog every day of the week but find a consistent time that works for you and your business. If you can only squeeze a blog post in once a fortnight, that’s fine but make sure you stick to it. P.S: If you can’t blog because you’re taking a significant amount of time off then it’s a good idea to leave a short message on your blog explaining that you’re away but content will begin again from a particular date. This way your readers will know that you are simply away for say six weeks, not that you’ve just stopped working and it will give you the initiative to get back into blogging. It can be easy to fall into the habit of producing the same type of content over and over again. So try to mix it up a bit this year. Here are six different types of blog posts to inspire you. Guide posts are consistently popular with pretty much any industry and audience. It’s a way of teaching your audience something valuable in a short amount of time and can easily be altered to suit photography businesses. List blog posts are really popular and the longer the list the better. This type of post can fit in to basically any topic you fancy talking about – from business to recent travel. This type of blog post targets a specific group of people; for example brides or someone just starting their photography business. This is a great way for you to explain a specific area of your business or give a different perspective on an aspect of your industry. In general I would suggest shying away from writing a negative blog post. However in some circumstances negativity can be a powerful tool. In fact psychological studies have shown that most people remember negative things more than positive – it’s called negativity bias and you can appeal to your audience by helping them avoid a negative situation. The general public love to know how other people do stuff – from becoming successful to learning to speak French. Think about your accomplishments, skills, talents and expertise and form them into blog posts that give away just a few of your secrets. After a long break like Christmas it can be difficult to get back into the swing of things. So why not listen to a podcast? Watch a tutorial or webinar? Even sign up for a workshop or online course? It might spark a new idea, clear the way for a new venture or simply inspire. You’re never too old to learn something new. P.S: Why not make you’re own podcast or webinar sharing your expertise within your genre or simply educating people on topics that have come up regularly within your business. It now seems that blogging has a lot of ‘rules’ and a lot of people have very different opinions on what you should and shouldn’t do with your blog. But it really doesn’t have to become a headache. I recommend writing a list of everything you do for your blog – from writing to designing to images. Then eliminate anything that is either not working for you any more or is simply becoming a pain. If you’re feeling stressed because you’re trying to write a blog post every day, then write fewer but better posts. If you hate the way your blog looks because there’s stuff all over the place then have a look for a new theme or research some widgets that can clean up your side bar and footer. Your blog is one of the only areas of your business that can be however you want it to be, so make it fun and make it you. 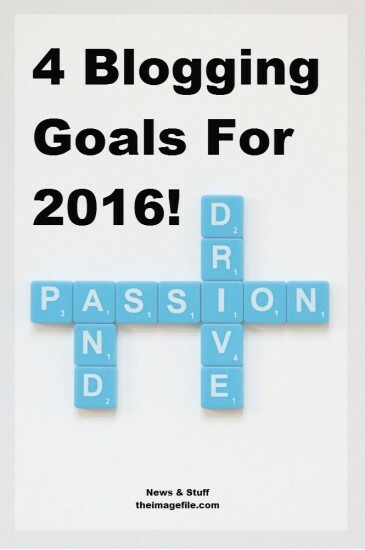 Do you have any business goals for 2016? What are you hoping to achieve in the next 12 months? October Round Up! 23 Blog Post Ideas Just For Photographers!